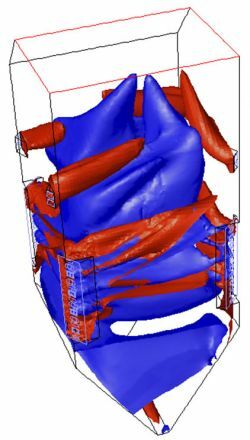 SAS has a strong track record of providing the most sophisticated Computational Fluid Dynamic analysis (CFD) and typically uses it as the first stage of a total solution for resolving complex process and mechanical problems. Several of SAS' programers have over 20 years' experience of working with the most sophisticated CFD packages and SAS has now developed its own CFD software to offer additional layers of data granularity to client projects and deliver enhanced outcomes. As a result of SAS' world-class offer in CFD analysis, its programers and engineers have carried out numerous assignments in Europe for power generation utility companies, working with partner organisation RJM International. Much of this work relates to ensuring coal- and oil-fired thermal plants are able to meet the latest emissions regulations, without having to invest in costly SCR or SNCR systems. Emissions compliance can therefore be achieved either through the installation of new Ultra-Low NOx burners or through the introduction of co-firing with biomass or full-scale conversion to biomass combustion. All of these outcomes are underpinned by the sophisticated CFD analysis carried out by the team at SAS.